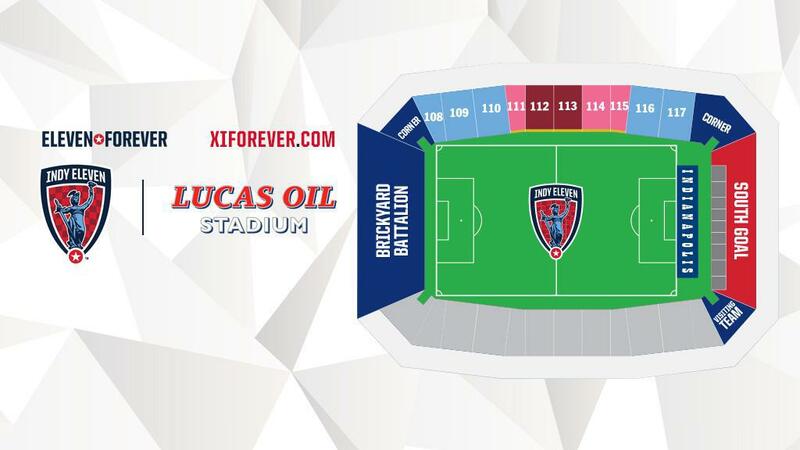 INDIANAPOLIS – New USL club Indy Eleven, the Capital Improvement Board of Managers, and the City of Indianapolis announced on Monday that Indy Eleven home matches will be scheduled at Lucas Oil Stadium for the 2018 season. Indy announced its move to the USL earlier this month as the club prepares for its fifth season in the professional ranks, which will be led by recently-appointed Head Coach Martin Rennie. The club’s partnership with the CIB is just another indication that professional soccer continues to have a strong foundation for future growth In Indiana. Since its inception in 2013, Indy Eleven has played its home games at Michael Carroll Stadium on the campus of IUPUI. The possibility remains that some home games for the 2018 season will be held at the venue affectionately known as ‘The Mike’ this season due to potential scheduling conflicts at Lucas Oil Stadium. “We feel strongly that joining a new league, and bringing a new head coach, along with player roster changes, demonstrates our commitment to fielding a high-quality club in a high-quality environment,” said Ozdemir. Indy will host its first game at Lucas Oil Stadium on Saturday, March 31 when it welcomes regional rival FC Cincinnati for its inaugural USL home opener. A full schedule can be found at www.indyeleven.com, with the final game schedule to be set after the release of the Indianapolis Colts schedule by the National Football League, expected in April.